I was using my pi as a wifi router using USB wifi adapters and saw "USB over-current messages". I removed the USB devices and over-current messages stopped. however after some time. Pi restarted and doesn't boot now. The Red LED doesn't glow (changed Power supplies, tried powering up using GPIO header). The green LED is glows continuously (no blinks, solid). If the RED LED flashes, it should mean that it can still boot. If not, maybe the LAN chip got fried (Symptoms: hot chip). If everything is good, your LAN chip may really be fried. If not, try to find a way to fix it (Take note that the Pi may become a fire hazard). Safety first. If you smell smoke, remove and decommission the pi and get a new one. Plug out all your USBs, energy, HDMI, SD card and everything! Take Raspberry Pi get out from the case. Clean your Raspberry Pi's top and down sides centle with soft brush. Only put HDMI and energy cable with micro SD card. I would also add heatsinks to the Broadcom chip and the ethernet chip (the two chips on the board.) You can find them on Amazon and the like. Not the answer you're looking for? Browse other questions tagged power led usb-power boot-issues fuses or ask your own question. Is there any point to a 2.0A (or greater) power supply, given the 1.1A polyfuse? 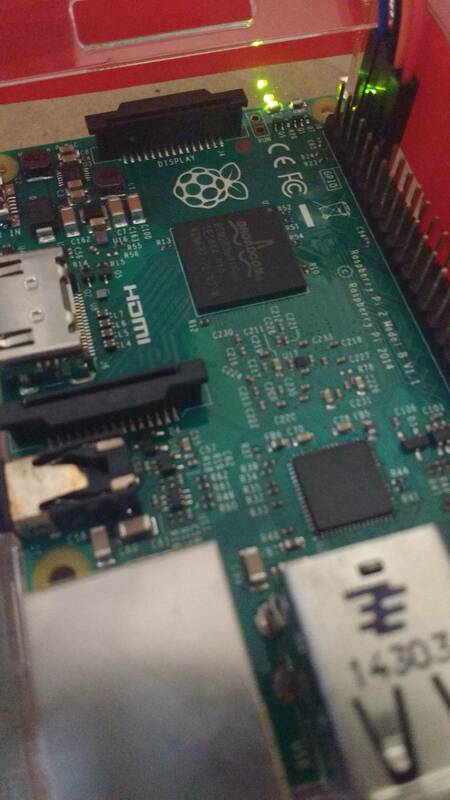 Raspberry Pi's Power LED does not light, heat and no boot!